"add a sentiment"... and I was lucky enough to get two images! and so used my watercolour pencils. and die cut the flourish and the label shape in the middle...which I also embossed with my swiss dots. I selected a pearlised card...I think you can just about see the sheen. This was the second image I got this week - Happy Lil Boy...from Digi Darla. Maybe I will try copics... hmmm..
stripey paper along the bottom border. Love both of your cards, Vic, but you know my favourite is the girl with the kitty. Absolutely beautiful! what adorable and beautiful cards. Lovely project Vic - you've used the die-cut really well and the image is a real cutie! THank you so much for playing with us over at 'Left Of Centre' this week - we hope to see you again very soon! Thank you for joining the Left Of Centre Creative Challenges for our current fortnightly challenge "Diecuts". What a really pretty girly card. Love the simple colour pallet, everything ties together so well. The character image is adorable and coloured wonderfully. Great texture and use of diecut elements. I hope you will join us for more of our future challenges, as well as other events we have coming up. We have a new Facebook group, where you can find more details of our challenges and DT. We hope you can join: https://m.facebook.com/groups/366516863488820?refid=18&ref=bookmark&_ft_ feel free to invite your friends. Both cards are Adorable, beautiful coloring! Thanks for joining the Melonheadz For The Boys Challenge. Oooh that first card is such a wonderfully girly card with all those gorgeous die cuts making it so feminine. And that second card is just perfect for a little boy with that sweet image, colors and dp. 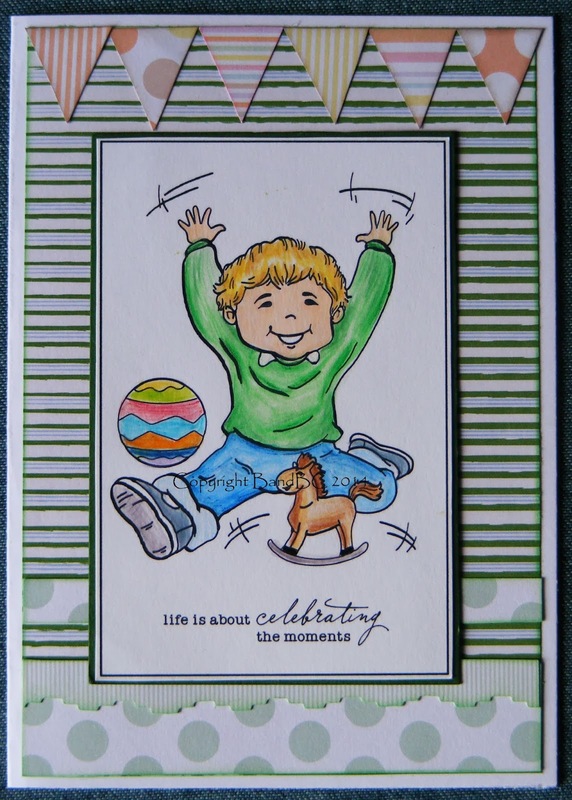 Thanks for playing in our Add a Die Cut/Punch challenge at Digistamps4Joy! Good luck and we hope to see you again. Cute sweet image lovely fresh colouring.